Found one file extension association related to REW and 1 file format developed specifically for use with REW. 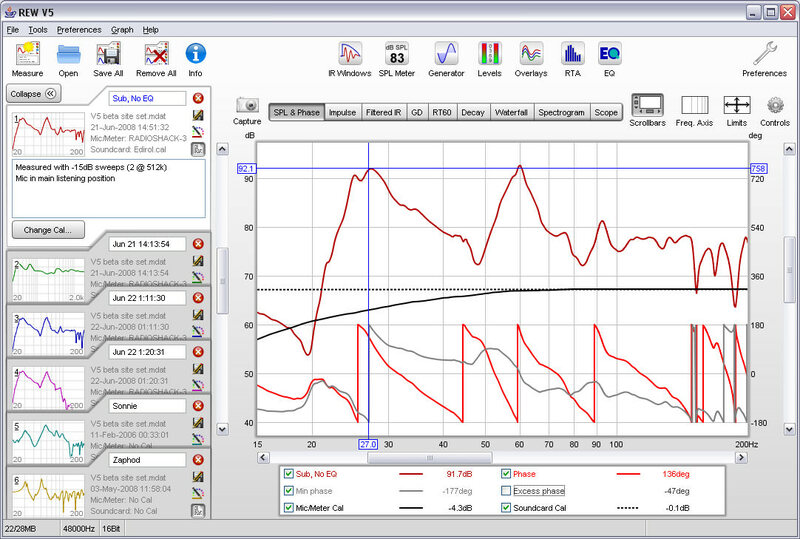 REW is room acoustics analysis software for measuring and analysing room and loudspeaker responses. It includes tools for generating audio test signals; measuring SPL and impedance; measuring frequency and impulse responses; generating phase, group delay and spectral decay plots, waterfalls, spectrograms and energy-time curves; generating real time analyser (RTA) plots; calculating reverberation times; calculating Thiele-Small parameters; determining the frequencies and decay times of modal resonances; displaying equaliser responses and automatically adjusting the settings of parametric equalisers to counter the effects of room modes and adjust responses to match a target curve. The audio analysis features of REW help you optimise the acoustics of your listening room, studio or home theater and find the best locations for your speakers, subwoofers and listening position. If you need more information please contact the developers of REW (John Mulcahy), or check out their product website.